The Bible commands we wear Fringes at the corners of our clothes. In this video Katelin teaches us how to make Tzitzit Fringes. 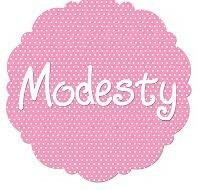 Set apart and holy is what modesty is all about. Shocking revelations From a godly modest woman, Joanne Smith. Please share this video if you enjoyed it and don’t forget to like it. Tizit-tizit for woman? Modest? Okay? What do you think? Is it modest for woman to wear tizit-tizit? Within the messianic community there are some controversial topics but one of the most common questions I come across, is it okay for woman to were tizit-tizit? Today on the show is a woman who talks about the connection between being a modest woman and wearing tizit-tizit. What do you think? Post your comment below. Within the messianic community there are some controversial topics but one of the most common questions I come across, is it okay for woman to were tizit-tizit? Today on the show is a woman who actually has a company that sell tizit-tizit and she encourages woman to wear them? What do you think? Post your comment below.